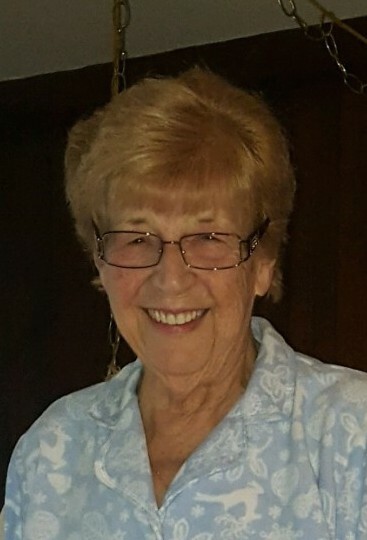 DeMARTINO: Rheta DeMartino, of New London, died unexpectedly on Jan. 19, 2019 surrounded by her loving family at L&M Hospital. Rheta was born Dec. 31, 1933 in the Fort Trumbull section of New London, the daughter of the late Louis and Mary (Baldini) Ceccarelli. A life long resident, she attended local schools and graduated from the former Chapman Technical High School and Mitchell College. She was united in marriage to Louis J. DeMartino on Nov. 24, 1956 in St. Joseph Church. Lou, who was the love of her life, died Feb. 3, 1996. 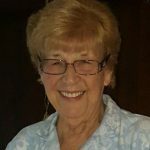 She worked for many years at the New London Judicial District Court as a Judge’s secretary. Rheta was a communicant of St. Joseph Church, her entire life. She volunteered with the local United Cerebral Palsy and was Past President. She served as Secretary for over 50 years for the Women’s auxiliary of the Italian Dramatic Club. Rheta loved to bowl and often visited the casino. She had a warm heart, great sense of humor and was loved by all. She is survived by her daughters, Donna (Dean) Bailey, and Andrea (Wayne) Hamler both of New London. The loves of her life were her two grandsons Matthew and Scott. She is also survived by a niece, Karen Baldini Roy, nephews, William Baldini, Raymond and Paul DeMartino. Also, her dear friend and partner in crime, Amy Dyer. She was predeceased by her step-father, Ralph Talbot, brothers, William and Lawrence Baldini. Her family will receive relatives and friends on Wednesday from 4 to 7 pm at the Impellitteri-Malia Funeral Home, 84 Montauk Ave. New London. A Mass of Christian Burial, will be celebrated on Thursday in St. Joseph Church, New London at 11am . Interment in, St. Mary Cemetery, New London. Donations in her memory can be made to Alzheimer’s Association CT Chapter, 200 Executive Blvd. 4b Southington, CT 06489-1058 or the donors choice of charity.